The historic building makes a great venue for weddings, business meetings and leisure breaks, and suits all types of guests. Away from the hotel, guests won't want to miss the Perth Museum, which is less than a mile away and is easily accessible on foot. The Kinnoull Suite boasts high ceilings and traditional beams and can accommodate up to 120 guests, making it a superb venue for a wedding reception or special event. The scenic gardens also contribute to making this hotel a stunning wedding venue. Friendly staff. Good location for town centre and concert hall. Nice choice of breakfast. I stayed at the hotel for 2 days with my elderly father, who has mobility issues. The staff could not do enough for us, particularly in the restaurant. Overall a very pleasant stay. We had a really good break and the staff really nice. The two faults we had with the two-day break are room window did not close properly very drafty, the heater wouldn't work 100% so had to get a heater in. Dinner on the second night in the bar lounge, tables to small and low for dinner. Made some new friends and relaxed. Our stay was fine.. The hotel and décor are a little dated, and could do with upgrading. I found that there were very few staff around, having to wait at reception for some time for someone to appear. Also at the bar on a Saturday evening and no bar person around. I stood for about 5 minutes then had to ask the receptionist if someone was serving at the bar. We were also told at check in that we would be receiving a free bottle of wine in our room. When we got to our room, there was no bottle of wine. we come here all the time as best location, best breakfast, best staff, and rooms are spotless and always have great sleeps! Staff really nice and friendly and the food was very nice we really enjoyed the experience. The hotel is central for the town centre, the only thing was the rooms are a little small. Friendly reception. We were in room 14 which was a nice size,unfortunately only one side had a bedside cabinet and no electrical plugs near the bed. The room above us had extremely poor flooring which told us loudly when there was any movement with squeeks beyond belief. The bathroom ventilation system had an extraction fan somewhere in the voids that needs replaced as it made an amplified grating sound when it was on. Breakfast was excellent a good choice of fruit cereals and the hot selection full of flavour. I upgraded to a Premier room and pad an extra £100 for a birthday present for my partner and I. There was constant noise from an upstairs noise which really dampened my experience. It was meant to be extremely relaxed but we never got the chance due to no quiet time at all. I was going to re-book the Mercure Perth for a later date but feel I will need to look elsewhere now. 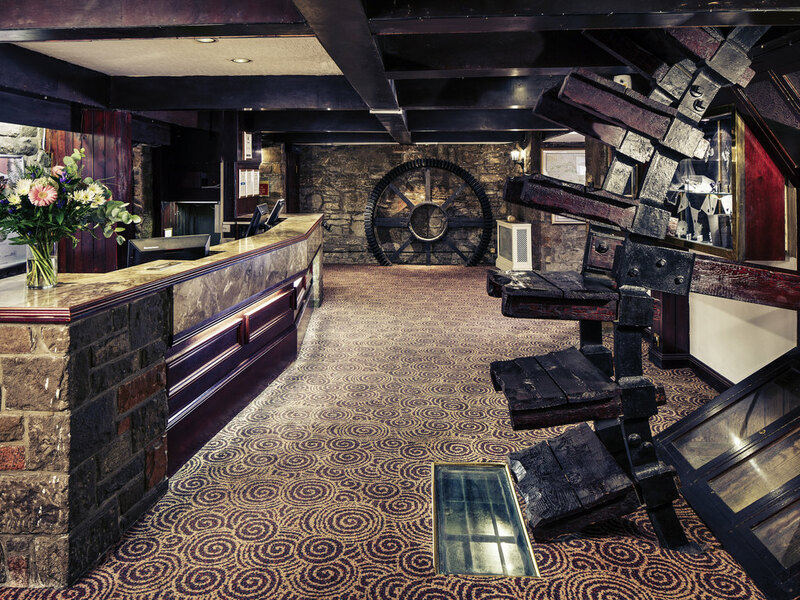 The hotel is set in an old water mill and a fascinating place. Although the rooms (or at least my room) are a bit tired, they are a good size, clean, comfortable and with all the basic amenities - plus the windows open! The breakfast selection and quality were good given the price. Overall very good value and I will stay there again. No food left at breakfast, dirty mugs on table. Staff at reception on mobile on arrival. Had a bit of trouble finding it from the directions given but otherwise an enjoyable experience. Relaxing night. Very central for shopping. Good hotel but basic central location. Room was basic but clean. Breakfast was lovely plenty choice , fresh and hot. Staff professional at check in abc breakfast. Appreciated the overflow car park.